In the absence of action from Bristol City Council to right the wrong visited on our area, PRSC are to start a fund to buy back Turbo Island for the Community. If you wish to contribute, please contact us. 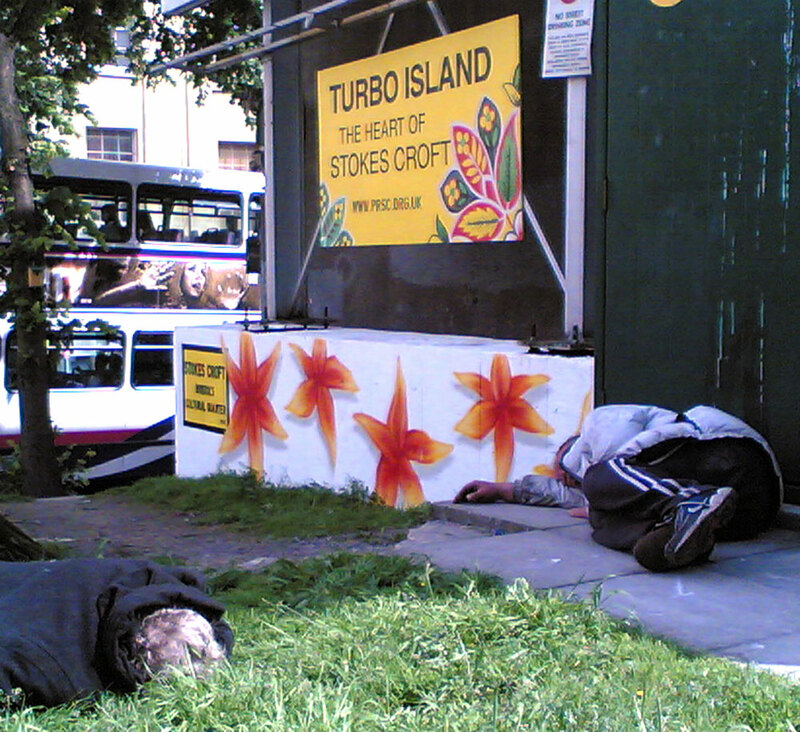 Street drinkers sleeping it off in 2008.